Somerville startup PillPack bundles customers’ medications and delivers them by mail. As a teenager, T.J. Parker had a part-time job in the industry he’s now trying to upend. His father owned a small pharmacy in Concord, N.H., and Parker used to make delivery runs to patients who couldn’t come into the store. “I was just like the guy in ‘It’s a Wonderful Life,’ ” Parker says, referring to Jimmy Stewart’s straight-arrow George Bailey character. Now, Parker runs the Somerville startup PillPack, which eliminates the need to visit a pharmacy, delivering prescriptions by mail. Since the company was founded in 2013, it has raised about $118 million in funding, built a highly automated pharmacy in Manchester, N.H., and grown to more than 500 employees. 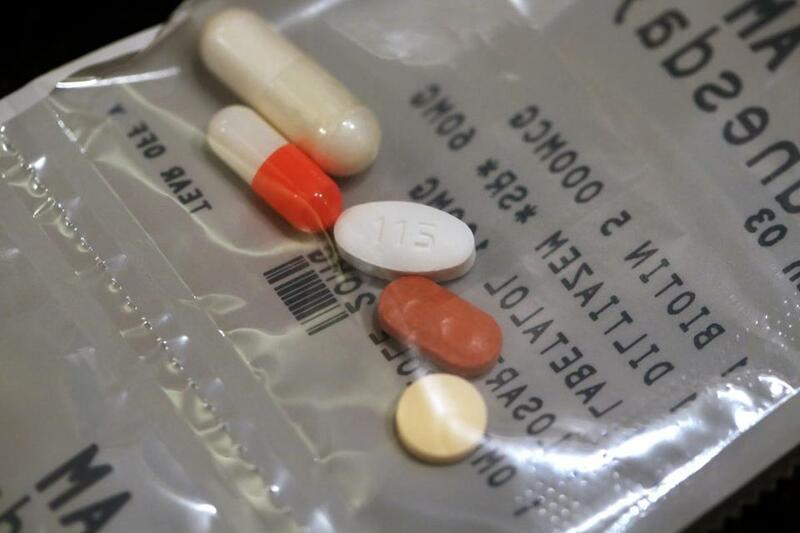 Prescription drugs are big business in the United States: about $323 billion in 2016, after you take into account discounts and rebates, according to QuintilesIMS, a health care technology company. “The traditional mail-order pharmacy just wasn’t designed to deliver the kind of experience that you expect from an e-commerce company,” Parker says. Unlike most e-commerce companies, however, there’s a phone number prominently displayed on the PillPack website that lets you connect with a human; the company operates a call center in Utah. “Having facilities like that and pharmacists working for you is seriously capital-intensive,” says David Frankel of Founder Collective. But Frankel says the investment in that kind of infrastructure —and those pill-packaging machines — is what’s required to become far more efficient than existing players in the pharmacy business. Media reports last month that Amazon.com is planning to launch an online pharmacy could give PillPack a deep-pocketed and experienced rival. (Via e-mail, Amazon spokeswoman Maxine Tagay says that “we decline to comment on rumors and speculation.”) But Amazon’s entry could also make PillPack “more valuable as an acquisition target to a whole range of players,” Frankel says, namely companies like CVS or Walgreens Boots Alliance. PillPack’s revenue is expected to surpass $100 million in 2017. Zoë Barry, the founder and chief executive of ZappRx, isn’t a pharmacist, but she says she began focusing on the business after her brother was diagnosed with a severe form of epilepsy. Getting him on the right drug regimen took months, which the family found frustrating. Her company, which has about 30 employees, focuses on high-priced drugs that treat less-common conditions, known as “specialty” pharmaceuticals. They can cost $100,000 a year or more, and can require that the patient take certain diagnostic tests to start and continue using them. Insurers often require proof that other treatments have failed. That creates lots of paperwork, faxes, and phone calls, Barry says. “Our number one competitor, incredibly, is the fax machine,” she says. ZappRx works to digitize the process of getting onto a complicated drug regimen, though an existing pharmacy actually delivers the drugs (or, depending on the type of medication, patients have them injected in a doctor’s office.) The company has so far raised $41 million, though it is only focused on serving pulmonologists who treat a handful of respiratory diseases, such as cystic fibrosis. CVS Health, with $177 billion in revenue — and its own mail-order pharmacy business — is not standing still. In the two years since its Boston innovation lab has been open, it has built systems that enable customers to place orders with a mobile phone and have them carried out to their car when they pull up to a store; communicate with pharmacists via text message; and snap a photo of their insurance card to help the pharmacist fill in any missing information. But what does the future hold for the neighborhood drugstore — or the branches of all those big chains like CVS or Rite-Aid? Clarence the angel wasn’t available to ask, so I put the question to Parker. If more people get their prescriptions delivered directly to their homes, would that mean curtains for brick-and-mortar pharmacies, which depend on foot traffic to sell lots of other products, from greeting cards to Skittles? It was, in Parker’s view, a wonderful life. 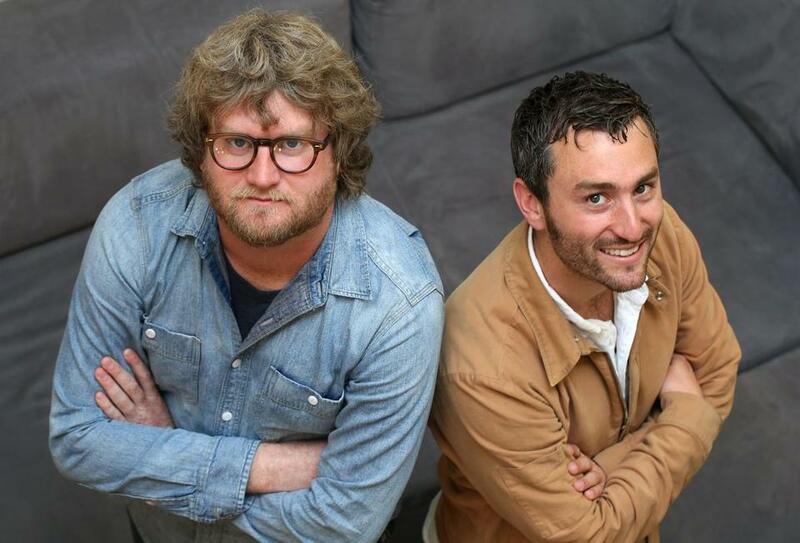 Co-founders of PillPack CEO TJ Parker, left, and CTO Elliot Cohen.